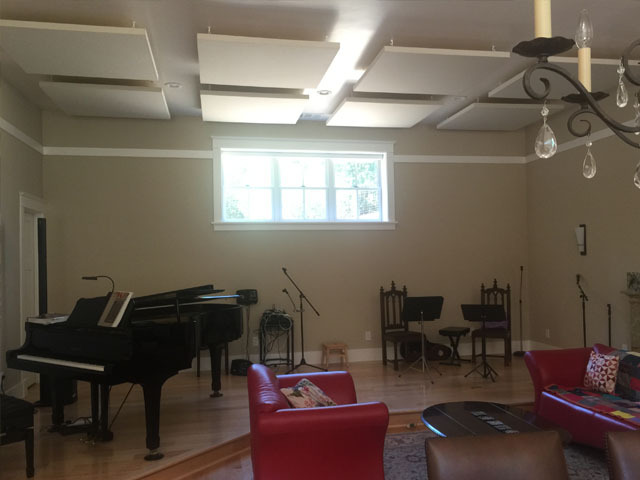 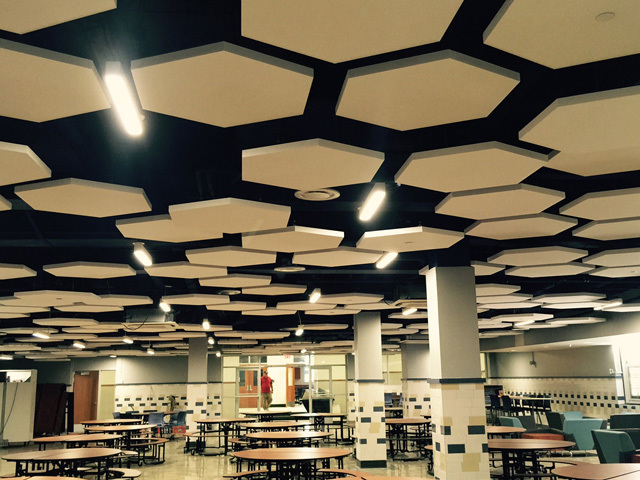 Sonora® Ceiling Clouds are acoustical panels that suspend horizontally from the ceiling to reduce sound reflections. Grid wire or aircraft cable can be extended to an L-bar mounted on the back of the panel. 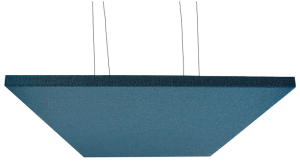 The face and edges of the glass fiber core are wrapped in fabric to match or accentuate room décor and coordinate with Sonora® Wall Panels. 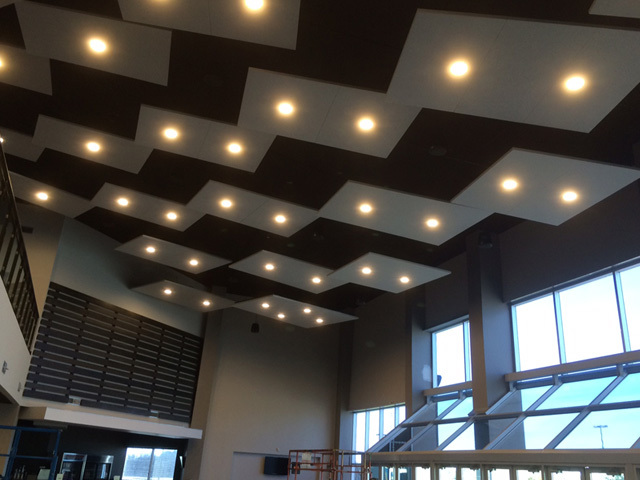 These acoustical Ceiling Clouds have the same or greater NRC rating as Sonora® Panels. 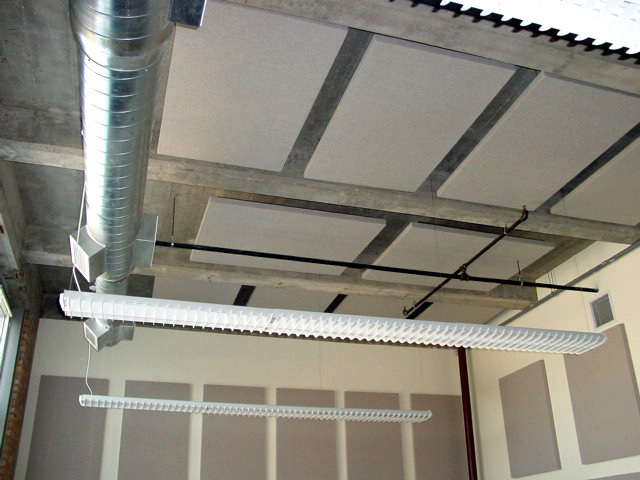 Available Thicknesses: 1" and 2"
Sonora® Acoustical Ceiling Cloud 1"
Sonora® Acoustical Ceiling Cloud 2"